Cost to install gutter guards varies greatly by region (and even by zip code). 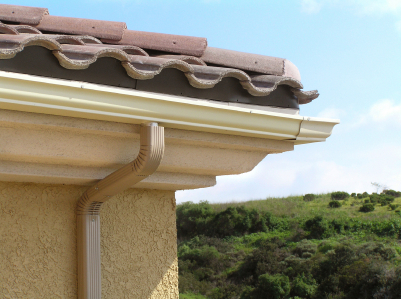 Get free estimates from gutter contractors in your city. Cost to install gutter guards varies greatly by region (and even by zip code). The average home has roughly 200 feet of gutters. These need frequent cleanings throughout the year, with an average of three cleanings as the absolute minimum. The standard cost for a professional to clean them is around $75 per cleaning, which means maintenance is $225 per year. The average DIY home or property owner can easily install gutter guards and also tackle the annual cleanings quite a bit easier too. For the purpose of this discussion we will look at the price and requirements to install gutter guards in 200 feet of pre-existing gutters. Gutter Company - there are also gutter guard companies that specialize in their own custom designs and systems. The costs for such installations can be exorbitant with prices starting $6 a linear foot. The average cost for a full installation tends to be around $1500 (according to AskTheBuilder.com). Heat Tape - there are many heating elements that are impervious to the effects of water and they can help to prevent ice from developing on top of, or inside a gutter, and while the installation of gutter guards is occurring it is a good idea to consider installing heating elements wherever ice tends to be a problem. How much does it cost to install gutter guards in my city? Cost to install gutter guards varies greatly by region (and even by zip code). To get free estimates from local contractors, please indicate yours.